Based on material given by Mr Robert Nichols to the Hadleigh and Thundersley Community Archive. Born in 1921, Mr Nichols was the eighth child in a family of six boys and four girls. His parents met in Prittlewell and, after accommodation in that area, moved from Fairfax Drive to Church Road, Hadleigh in 1910, mother walking with two children aged 2 and 4, the perambulator no doubt also laden with household essentials. Even at the age of 100, one of his sisters still had vivid memories of how tired she was on arrival, having had to walk some of the way. In the later 1920s, whilst climbing their fence and that of the house behind them in London Road, (to play with and swap comics with a girl of about the same age) it was quite easy to see the area behind what are now Maison Noir properties. There was an open shelter similar to that which still remains, in which could at that time be seen Hadleigh’s original fire-fighting equipment. Whilst in class in Hadleigh School around 1933, a huge cloud of smoke could be seen in the direction of St James the Less church and the furious ringing of Fire Engine bells could be heard. The cause was a disastrous fire at the garage in the High Street at the corner of Endway. After class, when the fire was under control, a considerable crowd had accumulated. It remains in his memory to this day, mainly because the whole class were asked the next day to write a poem on the event, only to reveal that his poetical ability was an absolute zero. During wartime service in the RAF, Mr Nichols was posted to a Repair and Salvage Unit in India and Burma,and was responsible (with very basic equipment) for retrieving aircraft or salvageable components of those that had forced-landed or crashed. Back at base, it was sometimes possible to reconstruct a fully serviceable aircraft of a similar type. 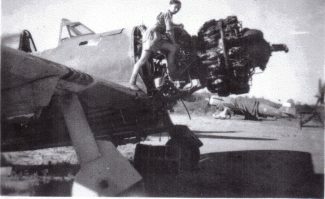 The work was often frustrated by having insufficient handling equipment but he remembers rebuilding at least two US P47 Thunderbolts. 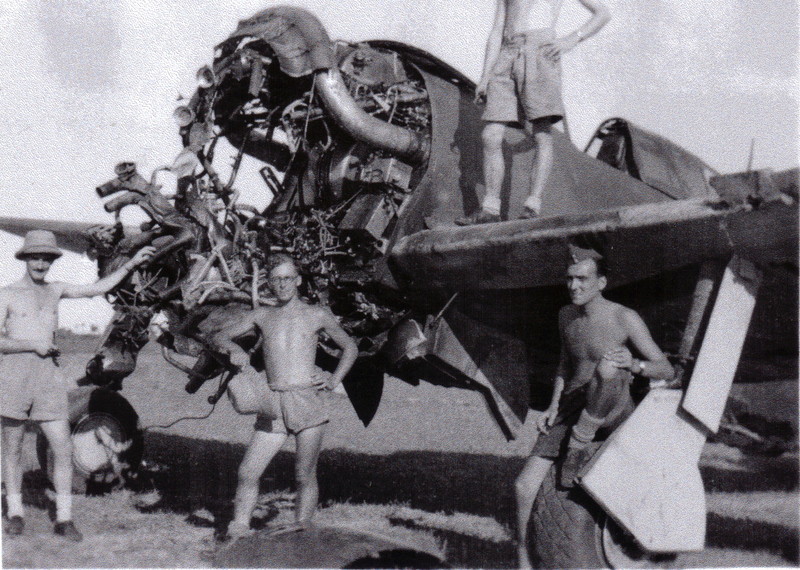 After a catastrophic crash and disintegration of a Mosquito which he witnessed, it was determined that their wood and glue construction degraded too rapidly in the high levels of humidity and heat and he had the task of writing off several of these very remarkable aircraft. 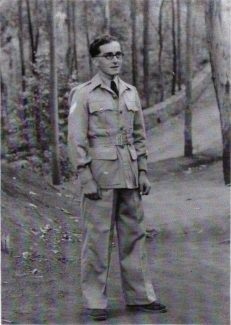 Whilst on a mission to a crashed Thunderbolt, his team were running short of supplies and it was impossible for their truck to re-cross a river which had become violently swollen by the monsoon rains. Using a makeshift raft, he and another of the team crossed the river and walked many miles into Madras for help, through walls of monsoon rain which deposited thousands of small wriggling fish. The rescue of his team was finally achieved by hiring a fisherman and his boat. In 1946, he was demobbed back into Hadleigh, but employment opportunities were few, rationing still acute and movement restricted. 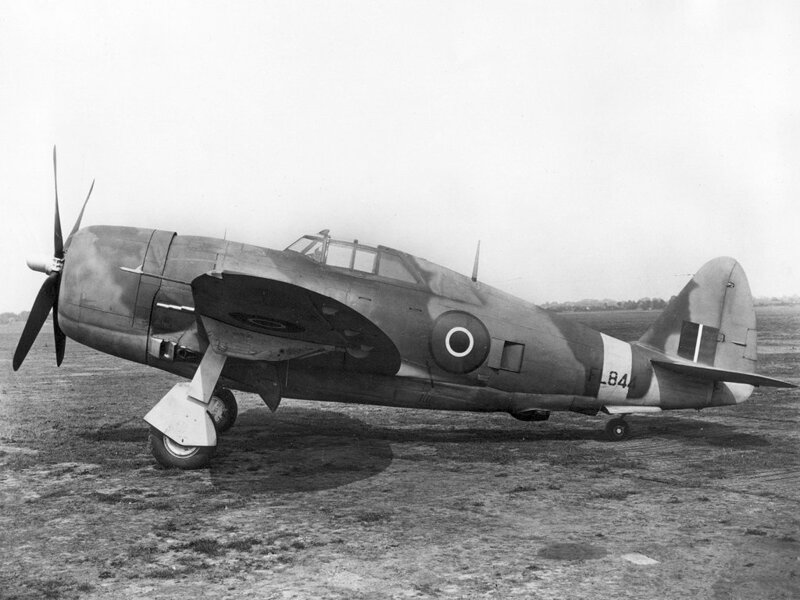 Finally, he found work with Airwork General Trading with a base at Langley in Bucks (near the Hawkers factory) repairing and overhauling wooden and composite material aircraft for commercial purposes. Returning to his hangar one day, he was spotted by a manager and asked to join a test of a US Fairchild Argus ( six seat ) aircraft with their chief test pilot, Mr Trusk. During the test, they were both alarmed when Mr Trusk’s control column broke off from the controls under the floor. 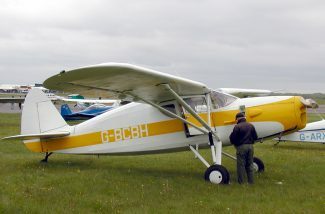 Luckily Mr Nichols discovered the dual control column that was hidden under his co-pilot seat and he was able to connect it (through the rubber debris guard) to the socket of the controls on his side of the plane. Changing seats would have been impossible because of the limited space and the danger of destabilising the aircraft, so returning to base involved Mr Trusk operating pedals and throttle, while Mr Nichols handled the control column. This joint operation was successful and they landed safely. He married Vera née Pryor in 1948. Her grandfather and uncles were prolific builders initially in London and then in Leigh, and constructed Leonard House in Leigh Road ( now a private school ) in memory of a son killed in the Great War. Having the luck to obtain a flat ( in one of the Pryor’s buildings in Leigh ) but working away from home, on hearing of possible aircraft work at Southend Airport in 1949, he went to enquire and met Freddie Laker who was forming a company (Aviation Traders) to modify and service Halton aircraft (modified Halifax bombers ) with large under-fuselage panniers for the Berlin airlift. The emerging charter companies of course had no alternative. Mr Nichols joined an emerging Charter Company, “Crewsair,” which later became BKS. 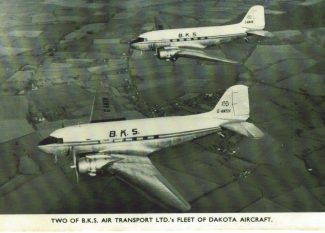 The two Dakotas shown are Sugar Hotel and Victor Bravo (acquired after Sugar Fox); they were obtained from storage at Silloth near Carlisle on the understanding that they would be requisitioned if needed by the military. He supervised the overhaul of these and others at Southend Airport in the early 1950s and has many memories of that period. He rapidly gained experience and Licensed Authority to certify the overhauls, repairs, servicing and ‘Safety for Flight’ of a considerable range of aircraft and engines. With the extensive overhaul and repair work carried out for UK and foreign Charter companies, Mr Nichols can justly claim to be amongst those post-war pioneers who brought air travel to the masses. Later, he was Chief Inspector of another Charter Company, “Tradair” which eventually operated nine Vickers Viking aircraft. They included three ex King’s/Queen’s Flight (VL233, VL247 and VL248) which required extensive modification and alteration, e.g. changing from two thrones to 36 passenger seats! Two of these three Vikings were exclusively for royal passengers and were used by King George VI and Queen Elizabeth the Queen Mother and Princess Elizabeth on their tour of South Africa in 1947 and later by Queen Elizabeth II.